Tobacco: Do you know how sacred it is? Tobacco is an herb that has become a pariah in our society, yet is sacred to many native peoples. It wasn’t meant to be used and smoked the way we use it in our society. We must respect one another’s medicines. Tobacco has the quality of being able to absorb. When made into a poultice, it can absorb toxins out of a rash or bug bite. When you pray with it, it absorbs your prayers. And when smoked, the smoke carries your prayers up to the Creator. Bear Heart taught that the age-old Shamanic way of praying is to hold a pinch of tobacco between the first three fingers of your hand, say your prayer, then open your fingers and let the tobacco fall to the ground. Don’t toss it, let it fall. The nature spirits will then work on fulfilling that prayer. It is traditional for someone asking for help or teaching from a native healer or elder to offer them tobacco. This is not payment for their services. The tobacco holds some of the energy of the patient who held it, helping the healer to connect with them. It also acts as an energetic protection for the healer so they don’t take on any of what the patient releases. You can read more about this in chapter 6 of The Wind Is My Mother. Think about the circumstances under which you smoke: when stressed, or in bars surrounded by all sorts of different people with all sorts of different energies and intentions. Remember that tobacco is absorbant, so it absorbs all the surrounding stress. When you inhale the smoke in that circumstance you’re magnifying the stress in your body. And 70-75% of illness is caused by stress! I believe that one of the reasons we smoke when stressed is that it changes our breathing; we breath deeper to inhale the smoke and deep breathing reduces stress. 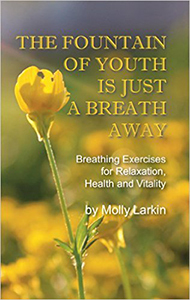 It would be better to just do breathing exercises for relaxation, which I will be addressing in future posts. Indigenous people teach that everything, every rock, every blade of grass, has a name and a song. Their consciousness may not function as ours does, but that doesn’t mean they don’t have any. Sometimes we go for a walk in the woods and see a pretty rock we want to take home. But do we ever think that perhaps that rock has relatives in that area and may not want to leave? Some may think that’s an odd concept, but those who know that everything is alive and we are all related will understand. If you take something from the earth [rock, plant, feather, etc.] leave tobacco as an offering. It’s a token of respect, and an exchange. Ask permission first and pray for abundance and protection for that element/kingdom. There are many, many stories of people who have taken sacred artifacts from indigenous peoples and lands without permission and been followed by bad luck until they were returned. Respect – it’s the key to a good life. One of the first ways to communicate and show respect to Mother Earth is through is the proper use of herbs: in how we pick them and how we use them. 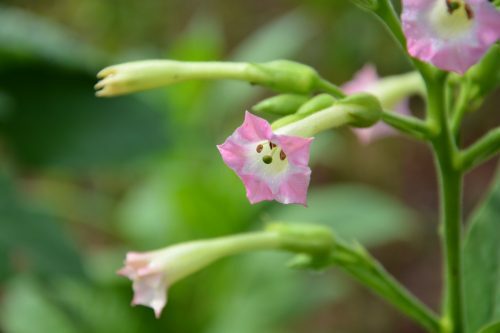 Tobacco is used when going out to pick other herbs. If you’re going out to pick sage or cedar, or even something from your garden, try to choose an area where it’s plentiful. Designate one plant as the grandmother plant and offer tobacco to her and ask permission to gather, and include prayers for the continued protection and abundance of the green kingdom. Then do your picking. When gathering wild herbs, pick just a little from each plant so that you don’t decimate an area. Southwest and Mexican tribes often used cornmeal for offerings. If you have no tobacco or cornmeal, you can even use a strand of your hair, or saliva, as an exchange. The Huichol Indians of Mexico use chocolate. A very fine offering, indeed. I always carry tobacco with me, and I keep some in my car. That way I’m always ready to pray. Not that regular prayer doesn’t work, but the more you do to help yourself focus, and call upon the good spirits for help, the more assistance you have. Sun Bear also taught that the earth is covered with nature spirits and they don’t get much business any more. So when you make tobacco offerings, they are eager to assist and acknowledge you in return. As you communicate with the earth in this age-old indigenous tradition, you will find your life changing in beautiful ways. What if everything is a call to prayer? 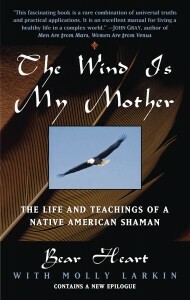 An exciting new book about Maya shamanism! Why should we celebrate the spring equinox? Decluttering: are we our things? Join over ​​​​6,000 monthly readers! 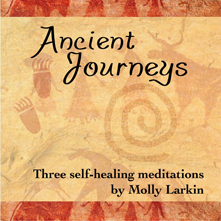 to the NEW Meditation Mini-Course and weekly Ancient Wisdom posts. 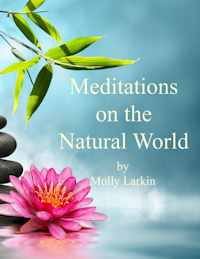 Meditations on the Natural World is designed to introduce you to a variety of meditation techniques, so you can choose what resonates with you. 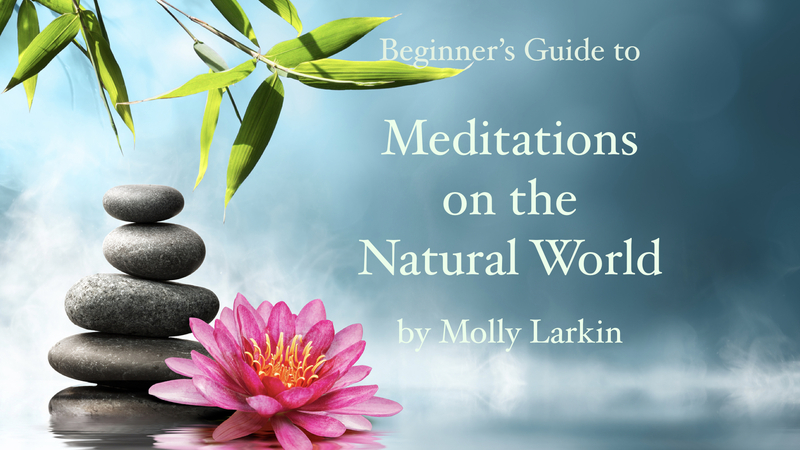 Taught by spiritual teacher and best-selling author Molly Larkin, this creative, easy and user-friendly course is certain to get you started on a fulfilling meditation practice. Try it now, during this half price introductory offer. 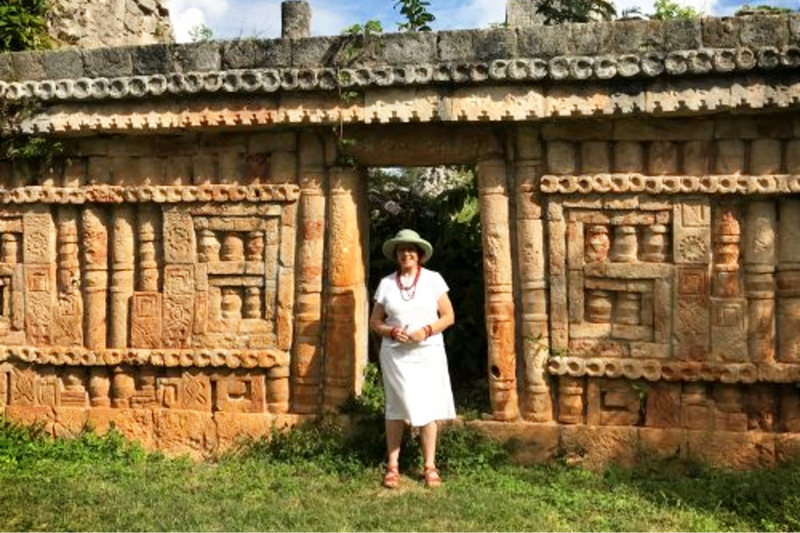 Our Shaman's Pathways to the Divine workshops teach spiritual tools from the ancient Maya Indians and other indigenous cultures for self-healing, manifesting our life’s purpose, and personal transformation. Feeling stuck? Let the great Marcus Aurelius motivate you! What can we learn from the legend of Atlantis? Ancestral trauma: Whose grief is it, anyway? What is the 7th Generation principle and why do you need to know about it? 5 Surprising Signs You're a Perfectionist - Hush Your Mind on What is the 7th Generation principle and why do you need to know about it? Copyright text 2018 by www.mollylarkin.com.